NEW YORK (AP) -- The father of a blue-chip college basketball recruit testified Tuesday that an assistant coach at the University of Louisville gave him a secret payment of $1,300 as part of a deal to get the son to sign with the school. Bowen testified that the first time, he informed Johnson that defendant Christian Dawkins had promised that the coach would help him with paying rent, Johnson was ''shocked'' and ''flabbergasted.'' The next time, he said, Johnson handed over $1,300 - reluctantly. Dawkins, former amateur coach Merl Code and former Adidas executive James Gatto, have pleaded not guilty to charges they sought to use under-the-table payments of up to $100,000 from Adidas in exchange for commitments from top prospects to major programs seen as a path to the pros. Their lawyers haven't disputed that payments were offered, but they argue that the schools never suffered any harm. Brian Bowen Sr. took the witness stand in federal court in Manhattan as part of an agreement with the government that will spare him from prosecution. On Tuesday, he testified that he tried to keep quiet about the ''money scheme'' that he knew broke the rules, even going as far as keeping his son in the dark about it. ''I didn't want him to get involved in something that was wrong. ... And I definitely didn't want my son to lose his eligibility,'' he said. 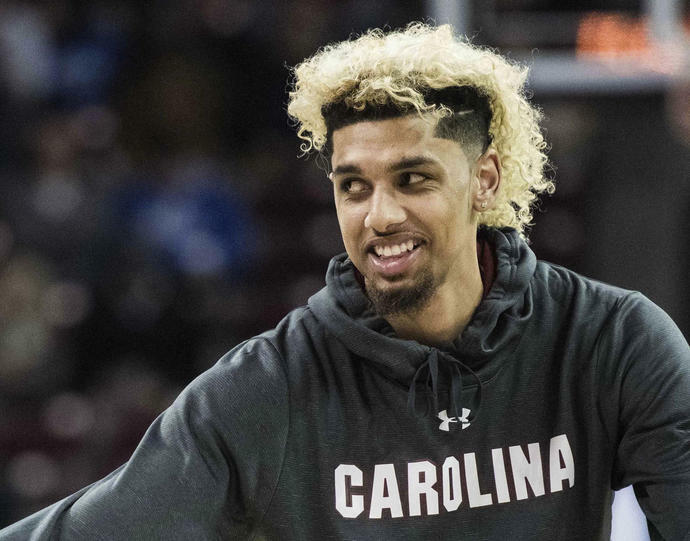 Once the scandal broke, Louisville withdrew Brian Bowen's scholarship before he ever played a game. He's currently playing professionally in Australia.